Hey Guys!!!! I recently changed my book cover from the one you see below to this one. Both cover options will be available for sale, because I know how passionate people are about the cover of a book and there were people who liked the other one. The books have separate ISBN and you can find both on Amazon. Some people might thing it's strange to have two different overs for the same book, however there are many book that have different covers, some even have three or four. If one cover doesn't work you can change it. Which is the awesomeness with books. I have been even tempted myself to buy different cover options of a book because I wanted both covers. Hope you all like the new cover, because I love it. If you don't then the other cover is available to you, so don't worry. Only two weeks left for the release of Sparks Fly and I am beyond excited. I'm happy to share this story with all of you and I hope you have fun reading it, as much as I had fun writing it. So excited to announce the release date of my debut Sparks Fly will be this summer, June 21st. Thanks so much for all of your support. My Journey to Publishing -The Editing process. Today I want to talk about the editing process that my novel is going through and give a little update about that. I recently did a blog about this on my site at www.annabellehelenjones.com, and a video on youtube, (find my channel at author Kadian thomas); going through the different stages of editing. Thus, I won't be going into detail about that. This blog is just to describe my experience so far. The editing process is very long as you can imagine, and a lot of steps involved. I just did an editorial assessment for Sparks Fly, and I received good feedback from that. The next step will be to revise my manuscript based on the comments I've received, and after I feel that's sufficient, then I will be doing a copy edit on my manuscript. The editing process is very nerve racking and filled with anxiety. Just the fact that you're waiting for someone you paid to criticize something you've slaved over is ridiculous enough. I did receive good feedback which encouraged me. Going into the editing process, it felt hard, and for the most part, I was overwhelmed. I think I was overwhelmed because I didn't know what state my manuscript was in. I liked my story I thought it was good, but was it good? I mean, I wrote this so of course, I think it's a masterpiece, but will other people think of it? I did receive feedback from a few readers, but sometimes I felt they were nice and didn't want to dig deep into it. This reason is why I wanted to do the editorial assessment to get a real idea of where my story is at without fear that anyone is too nice. An editor is paid to dig deep into your novel and show all your mistakes, and I was honestly dreading that. It was, however, a necessary step in the editing process, and it told me exactly where I was. It reinforced what I thought about my novel, and assured me that it was, in fact, a good story, and I wasn't crazy. After the editorial assessment, the process of editing felt easier and less nerve racking because I now had a solid idea of where my story was and what I needed to do to make it even better. It made me more confident and made the editing process more fun. Now I can't wait to do the copyediting, as I get one step closer to publishing my book. Stay connected for more updates on my journey to publishing. Thanks for reading. Sparks Fly, a Light in the Dark series. Have you ever wondered if you were in control of your life? ​Maybe everything that has happened was destined to happen or maybe a series of choices has led you to this place. 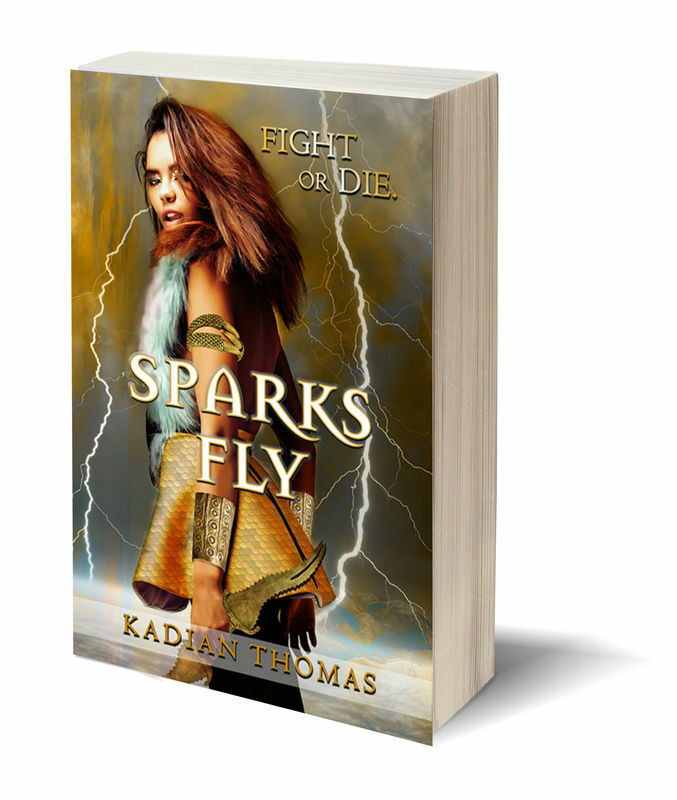 ​Sparks Fly follows the journey of Anorvia, a teenager destined to save a world she never knew, the realm of Kollosnia. In a world that is exactly like it seems. Can destiny be altered? 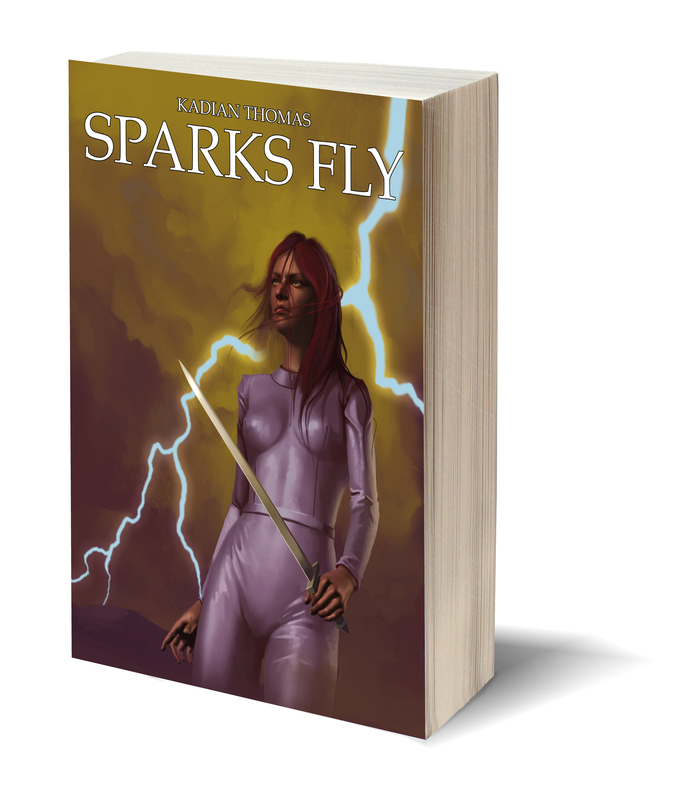 ​Sign up for newsletters to get the latest news on Sparks Fly, a Light in the Dark series. Also follow on twitter, @Thomaskadian, for updates.